Hello, Sharon! Because grass grows at the entrance, it is clear that the building is not used now. And I can imagine that the fence in front of the left entrance is the substitute of the door. Because I do not know the purpose of the use, the building is mysterious for me. I was very surprised at huge building. Yes, this is a big structure! I think this building might be used for storage of farm equipment, but probably not grain or hay. I’d love to go inside and have a look around. Maybe next time! 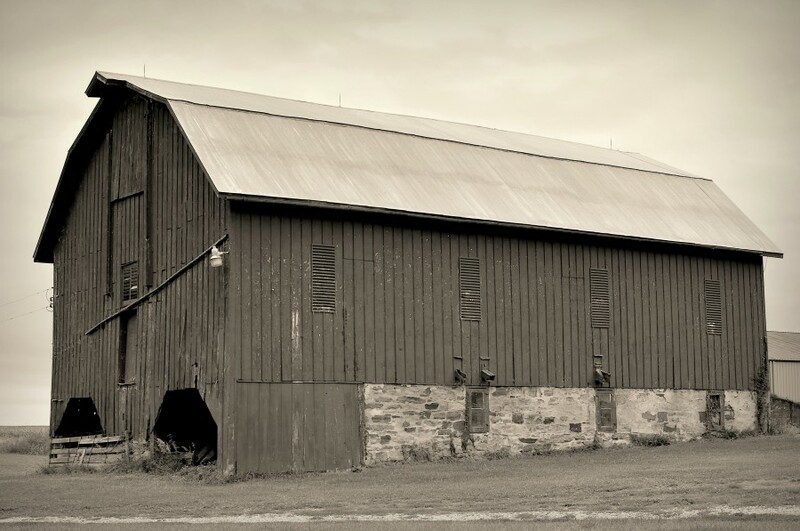 Fotostream, one day I’ll shoot some barn interiors….if I can figure out how to get in without trespassing, that is ;-). Sharon! I am worried about you. This is my request. Please do not enter inside without permission. It causes various problems. I do not worry about looking in the inside. Thanks, Brett. It’s huge alright. It looks especially big in the image, I was surprised!